Casinos in Macau are in a bit of a conundrum at the moment as their licenses are about to expire in a couple of years and they seem to expect that extending their stay in this city is not going to be an easy job. Instead of simply visiting the Gaming Inspection and Coordination Bureau (also known as DICJ in Portuguese as Macau was an area owned by Portugal), the casinos will have to undergo the bidding process as if they were applying for a license for the first time. According to the current law, new concessions will only be issued after the process of bidding is completed and casino operators selected. Naturally, casino operators have been pushing the city officials for more information about the bidding process so that they can plan their future and take all the necessary steps to prepare for the worst outcome. However, the gaming officials seem to be giving the operators the silent treatment, not disclosing any hints regarding their stay in Macau in the future. Once the consensus runs out in 2022, the providers will be in confusion unless they can find out more information about their future. The DICJ had a press conference on Friday where they were faced with a lot of questions regarding the future of Macau and concessions. However, they did not say anything in detail and just gave a hint that there would be a public tender, which means that a bidding war would begin once again. However, the reason why this press conference took place was since the officials already gave concession extensions to SJM Holdings and MGM China Holdings, which are two operators that would see their concessions expire in 2020. The head of the press conference that announced all the news (or at least gave some hints) was The Secretary for Economy and Finance in Macau, Lionel Leong Vai Tac. One of the journalists tried to extract some details regarding the tender process in 2022, and Leong only stated that the government of Macau was inclined to start a public tender once the gaming concessions expired. He was asked additional questions regarding the extension of the consensus or making the tender process available before expiration. 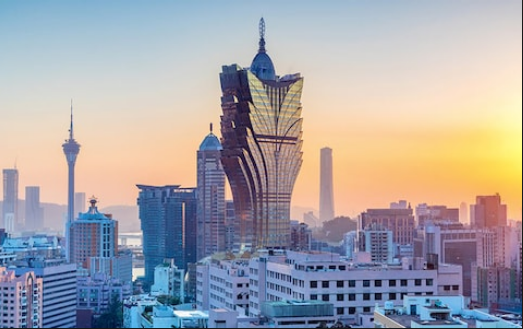 However, Leong only stated that they would consider various factors that affect the economic stability of Macau, as well as its financial security. Furthermore, he added that China’s national security was also one of the factors to pay attention to. Finally, Leong concluded that they would listen to opinions from society regarding the issue at hand and act accordingly. At the moment, the gaming law in Macau allows for a 20-year concession with a possible 5-year extension. After that, the casino operators need to start the tender process all over again in order to receive a license for another 20 years. It is undeniable that there will be a public tender at this point, but anything could happen by 2022.